They plan to utilise this funding to help improve the public perception of lorry and truck drivers while helping them grow their respective businesses. Today, Malaysia-based logistics startup TheLorry announced their success in raising USD5.85 million (approximately RM24 million) in a Series B funding round led by FirstFloor Capital, with other participating funders including PNB-INSPiRE Ethical Fund I, Cradle Seed Ventures, and Axiata Digital Innovation Fund. 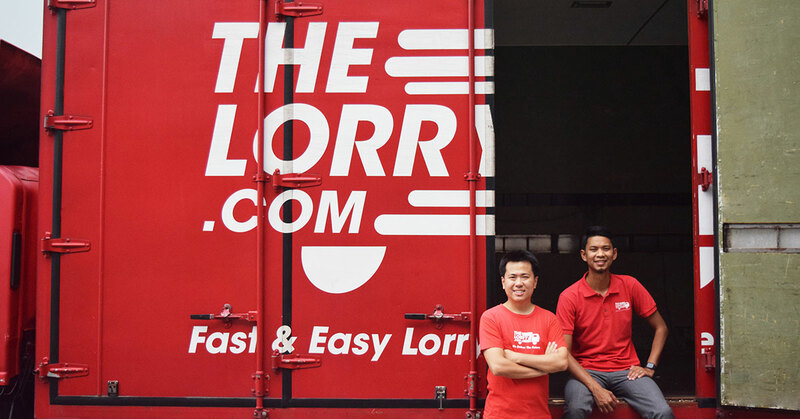 Since its inception in 2014, TheLorry has since become a platform that has connected thousands of individual and corporate clients to truck, lorry, and van owners across Southeast Asia, with their platform making it simple for just about anyone to acquire heavy-load or long-haul transportation services, ranging from house-moving to heavy-industry equipment. With its newly-gotten funds, TheLorry will now make moves to strengthen its presence in the four markets in which it is currently in—Malaysia, Singapore, Thailand, and Indonesia. Concurrently, it will also look to help lorry and truck drivers improve their perception within the public eye. Elaborating on this point, Nadhir revealed that his team have so far been able to help a good number within this profile improve their livelihoods as truck and lorry drivers. Coming a long way since its Series A funding in 2016, TheLorry is now profitable and has seen exponential growth following its expansions to Thailand and Indonesia last year. Other co-founder and Managing Director Goh Chee Hau thinks that the ecosystem built by TheLorry will be able to bring down costs for consumers. Looking ahead, Nadhir shared that his team would look to build upon their current success by increasing their standing as a top logistics provider within the SEA region. Finally, he shared plans for TheLorry in 2019. You can find out more about TheLorry on their website or Facebook page.